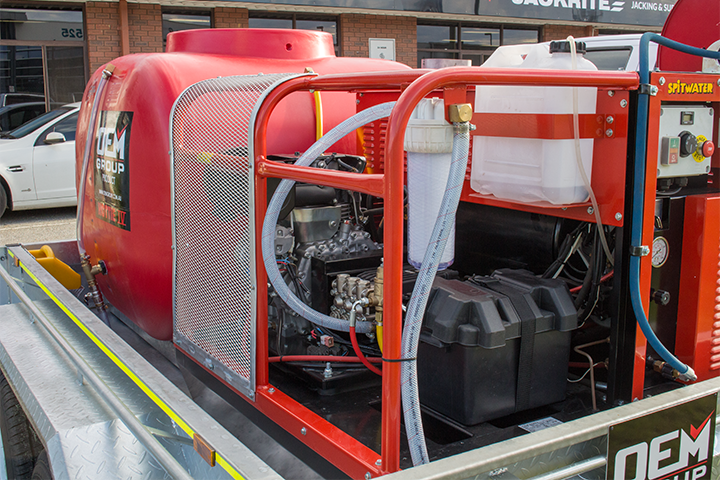 With in-house design, engineering and fabrication expertise, we can custom-design a pressure cleaner to perfectly suit your needs..
We are the specialists in creating tailor-made machines, included trailer mounted pressure cleaners (or on skids), complete with access platforms, and on board water tanks. You can see just a few of the many examples of custom built pressure cleaners below. 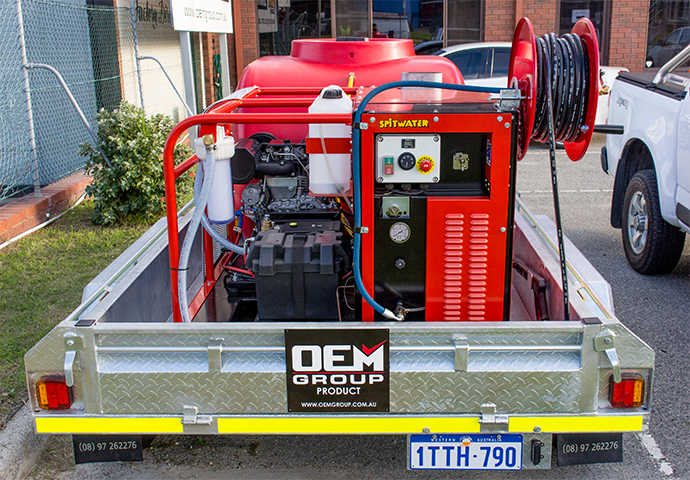 If you have a unique application and require a tailor made solution - including extra high pressure - please contact us to discuss a custom-made pressure cleaner. 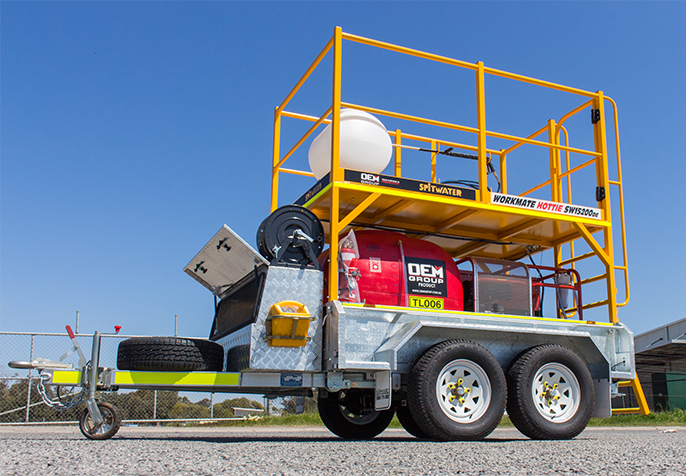 Built to mine specifications, the Workmate Hottie was designed to work on Australia's toughest mine sites. 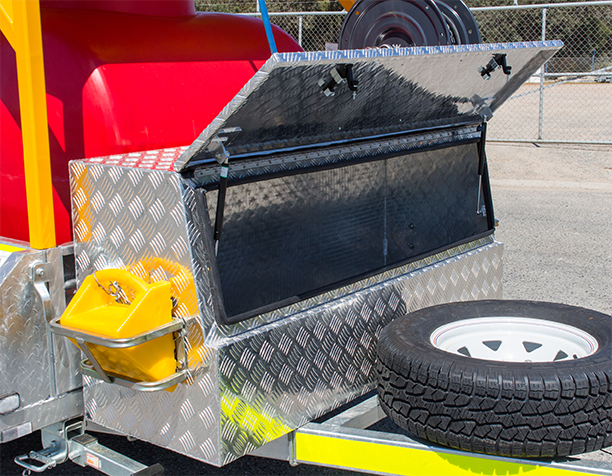 Powered by a genuine Spitwater SW15200DE and set on a galvanised 8 x 5 heavy duty trailer, the workmate Hottie is built for safety and productivity. 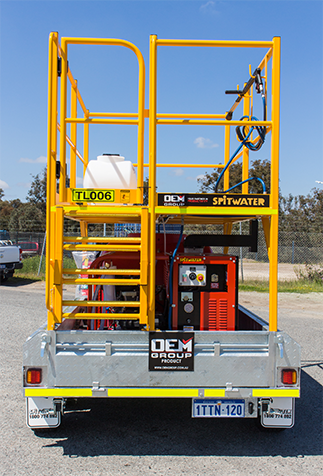 Built for industrial use, the Hottie IV provides a safe portable pressure cleaning solution across a wide range of industries. With an extensive list of features it was designed to optimise the productivity of its users.